Of course, he had got off his post by the time I got the phone to draw him with, so I had to try and remember what he had looked like. Probably he realized his cover was blown and he had to find another place to guard from. 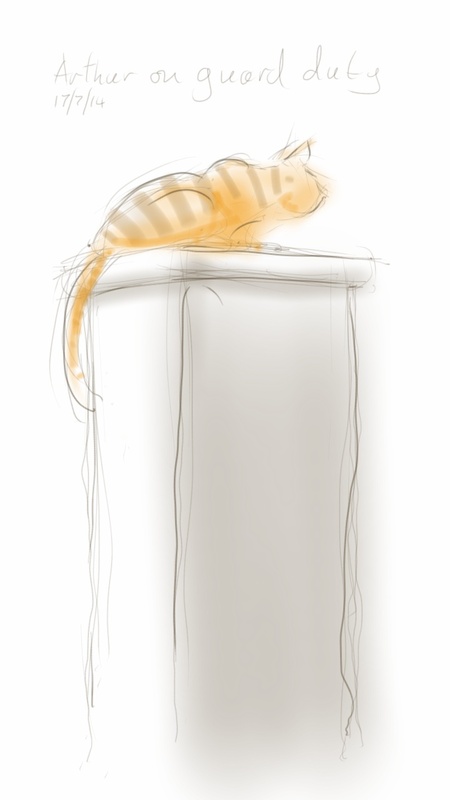 This entry was posted in Cats and tagged art, arthur cat, cat, cat watching, cat-of-the-day, digital sketch, drawing, ginger cat, illustration, phone sketch on July 17, 2014 by Nancy Farmer.